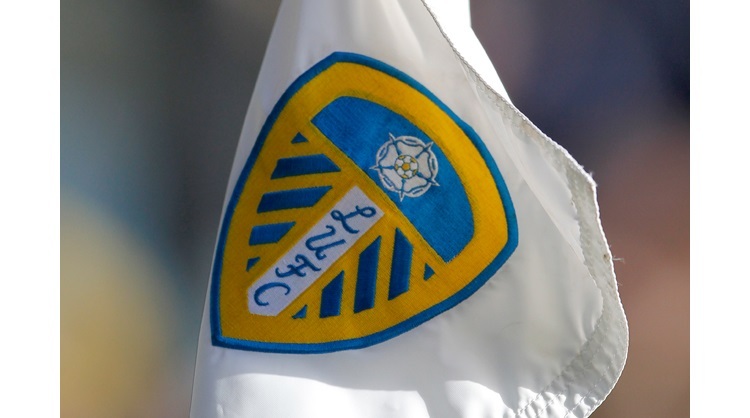 Leeds: Peacock-Farrell, Ayling, Cooper, Jansson, Phillips, Douglas, Klich (Forshaw 88), Alioski, Harrison, Saiz (Baker 90), Roberts (Dallas 86). Subs not used: Blackman, Forshaw, Pearce, Edmondson, Clarke. Preston: Rudd, Fisher, Earl, Clarke, Davies, Robinson, Browne (Gallagher 79), Moult (Nmecha 79), Harrop (Barker 71), Johnson, Barkhuizen. Subs not used: Maxwell, Hughes, Burke, Huntington. Tyler Roberts netted his first goals for Leeds United as the Whites maintained their unbeaten start to the Sky Bet Championship season. Head coach Marcelo Bielsa named an unchanged side to the one which picked up a late draw at Millwall on Saturday. It was the visitors who had the first chance of the game in the seventh minute, Callum Robinson fired a curling effort from inside the Leeds box, forcing Bailey Peacock-Farrell into a good save. Daniel Johnson then tried his luck from distance, forcing Peacock-Farrell into action once again. Samuel Saiz drove forwards for Leeds and saw a shot deflect wide and from the resulting corner, the ball hit Roberts at the back post, but was cleared off the line. Leeds had a great chance to open the scoring in the 14th minute, Jack Harrison played Mateusz Klich through on goal, but he struck wide. The Whites began to dominate the match and some good build up play saw Luke Ayling send Harrison down the right, he teed up Roberts who forced Declan Rudd into a decent save. Ezgjan Alisoki then had the ball in the net when he went through on goal and rounded Rudd, but a late offside flag denied him. Saiz put a lovely cross into the Preston box looking for Luke Ayling at the back post, but John Earl got just in front of the Leeds full-back to head away for a corner. From the resulting set-piece, Leeds took the lead, Barry Douglas delivered and Rudd was unable to keep out Liam Cooper’s diving header. Leeds should have added a second before the break, Saiz played Klich through on goal once more, but again he fired off target, whilst Rudd made a good save from Alioski, to ensure the Whites went into the break with just a one goal lead. After the break Leeds went close from another set-piece. Douglas delivered a free-kick from the right flank which Pontus Jansson met with a diving header, but his attempt deflected just wide. From the resulting corner, Alioski had a good chance when the ball fell to him just inside the Preston area, but he couldn’t keep his effort down. Preston thought they had equalised in the 56th minute, Darnel Fisher put a lovely cross in from the right which was converted by Robinson, but the offside flag ruled out a second goal of the night. Roberts then did well in an offside position to allow Alioski to continue his run, Alioski then looked for the return ball but Ben Davies made a vital interception. Harrison was then played through on goal by Saiz, but he was unable to convert as he hit the post. The Whites did double their lead in the 74th minute, Roberts latched onto a long ball from Kalvin Phillips, saw Rudd off his line and lobbed the ball over him into the back of the net. Leeds then went in search of a third, continuing to slice open the Preston defence, Saiz put a fine ball in from the right and Alioski was just inches away from converting. The Whites did seal the win with eight minutes remaining, some lovely build up play led to Saiz feeding Klich and he provided a neat cross and Roberts headed home his second of the night as United’s march continued.